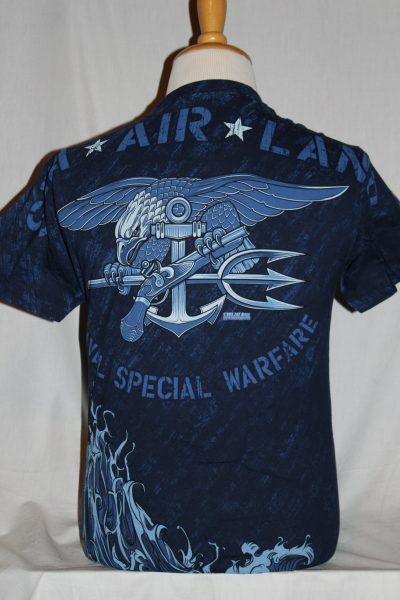 The US Navy Seals T-Shirt is a two sided jumbo print shirt in tan. 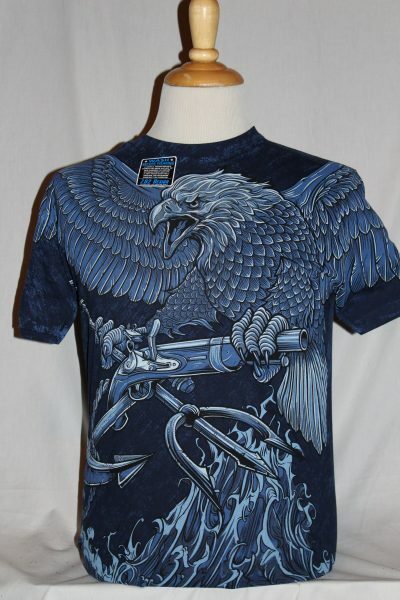 Naval Special Warfare front design shows eagle, weapons, and ocean scene. Back design is of the seal emblem and text. Mens All-over 4.7 oz. t-shirt. 100% Preshrunk Cotton in color blue. This shirt will retain its original color through multiple washing's.